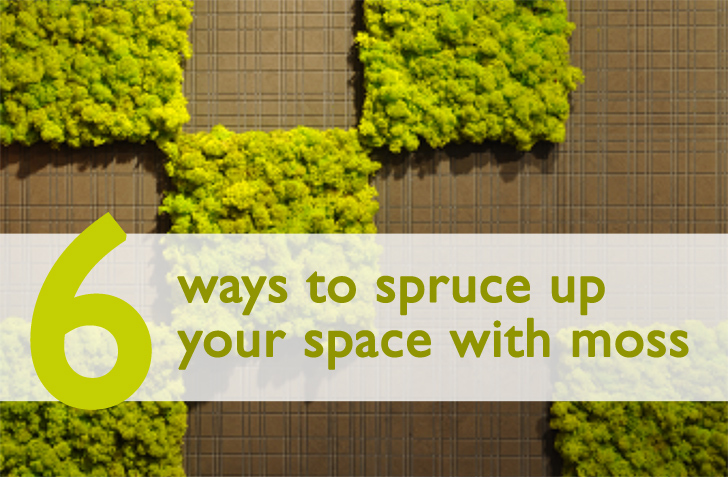 6 Fuzzy Ways to Spruce up Your Space Using Moss! Over the years we've come across so many inventive uses for moss that we decided to round up all of our favorite ways to use this lush green plant to green urban spaces - and even your own living room. From green poetry by Anna Garforth to verdant carpets, this collection of mossy goodness is bound to make you feel warm and fuzzy inside. And later, if you're feeling so inspired, we've included a link to our popular DIY moss recipe so you can make your own green graffiti at home! Anna Galforth is one of the world’s leading moss graffiti artists, but what distinguishes her green art from others is her unique street poetry. Using live moss, Galforth spells out poetic environmental messages on urban walls in order to draw awareness to pressing issues. Not only does she beautify the spaces she writes on, but she also provokes thoughtful discussion. 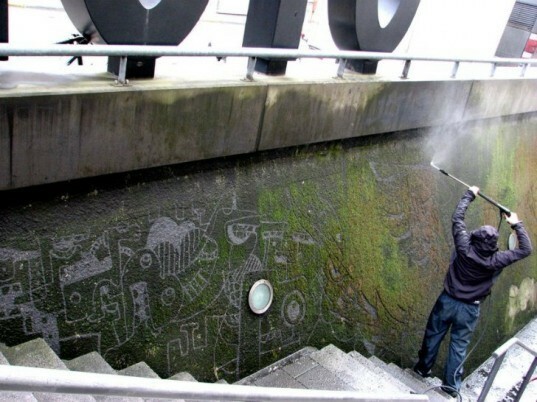 Graphic artist Stefaan De Croock (Strook) has a slightly different approach to moss graffiti. Instead of painting the moss on, he scrubs it off. Using a power washer, Strook carves interesting designs into moss-covered walls like this one in Belgium, transforming them from neglected urban spaces into inspiring ones that celebrate nature. Edina Tokodi is another super well-known moss graffiti artist who is constantly reinventing herself. 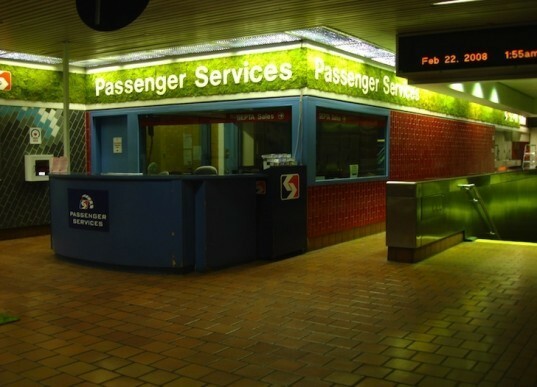 For this project, she livened up Philadelphia’s otherwise bleak public transportation system (SEPTA) with live moss installations in order to persuade locals to green up their ives. We can’t think of a more exciting way to green up an urban space so often associated with drudgery and routine than with awesome live green walls. This is probably one of the most unusual ways to green up your life, but if you’re a nature lover, no doubt you’ll be asking us how to do this in your own home. 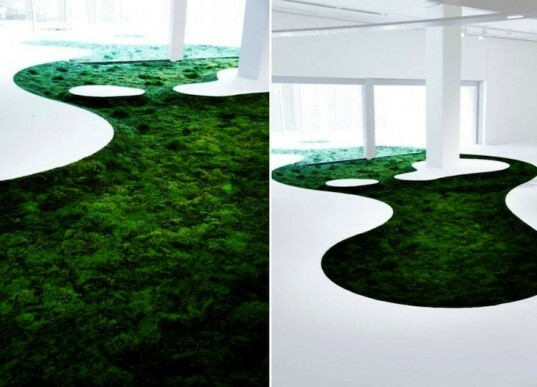 Artist Makoto Azuma teamed up with Unitika Ltd. at the 2009 Milan Furniture Fair to create this mind-blowing moss carpet. But how does it work? A glade comprised of flat planters is populated with a pile of live moss that results in a gorgeous green path that brings the outdoors inside. Somewhat less dramatic than the moss carpet but no less attractive are these extraordinary MOSStiles that can be applied indoors just like ordinary tiles. Modular and alive, these tiles come in every color of the rainbow and require very little maintenance. Since they rely only on humidity to remain lush and green, it is not necessary to water or fertilize them, nor do they even require direct sunlight! If you love these projects as much as we do, perhaps you are inspired to green up your own life with moss? If so, we have just the thing – a fabulous DIY guide to making your own green graffiti. This popular moss recipe will show you how to find the moss and how to apply it to a wall. It’s not hard to do and it’s really easy to maintain, especially if you live in a friendly clime. And now that spring has sprung, it’s the perfect time to liven up empty walls with fuzzy green moss! 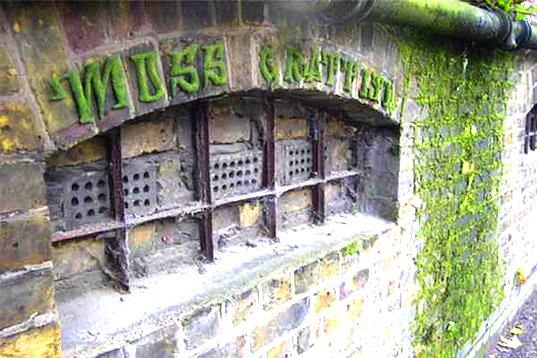 Anna Galforth is one of the world's leading moss graffiti artists, but what distinguishes her green art from others is her unique street poetry. 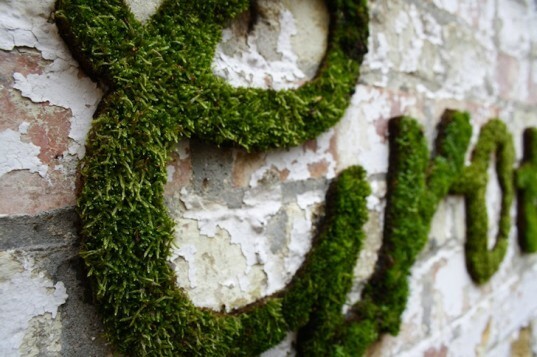 Using live moss, Galforth spells out poetic environmental messages on urban walls in order to draw awareness to pressing issues. Not only does she beautify the spaces she writes on, but she also provokes thoughtful discussion. Edina Tokodi is another super well-known moss graffiti artist who is constantly reinventing herself. For this project, she livened up Philadelphia's otherwise bleak public transportation system (SEPTA) with live moss installations in order to persuade locals to green up their ives. We can't think of a more exciting way to green up an urban space so often associated with drudgery and routine than with awesome live green walls. This is probably one of the most unusual ways to green up your life, but if you're a nature lover, no doubt you'll be asking us how to do this in your own home. 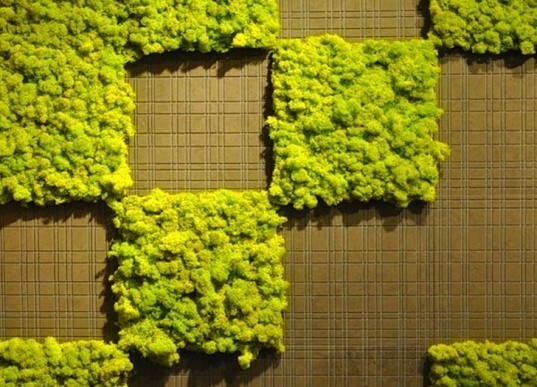 Artist Makoto Azuma teamed up with Unitika Ltd. at the 2009 Milan Furniture Fair to create this mind-blowing moss carpet. But how does it work? A glade comprised of flat planters is populated with a pile of live moss that results in a gorgeous green path that brings the outdoors inside. If you love these projects as much as we do, perhaps you are inspired to green up your own life with moss? If so, we have just the thing - a fabulous DIY guide to making your own green graffiti. This popular moss recipe will show you how to find the moss and how to apply it to a wall. It's not hard to do and it's really easy to maintain, especially if you live in a friendly clime. And now that spring has sprung, it's the perfect time to liven up empty walls with fuzzy green moss!